budokankarateacademy: We are dedicated to teaching traditional Karate to the very highest standard. 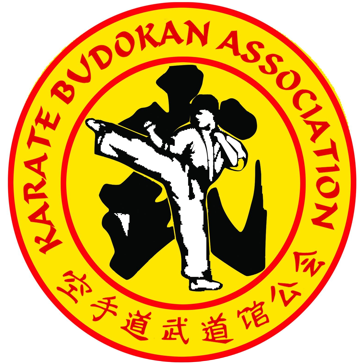 We are proud to be affiliated to Karate Budokan Association Malaysia. Budokan Karate Academy is a martial arts organization is established in Kerala, India in the year 1987. The organization may be referred to as B.K.A. B.K.A teaches the art of unarmed combat in which the hands and legs are systematically trained to defend and counter-attack any would be assailant (s). Besides Karate, B.K.A also teaches Kung-Fu, Kalaripayattu, Yoga and the use of oriental weapons to its members. We are dedicated to teaching traditional Karate to the very highest standard. We are proud to be affiliated to Karate Budokan Assocition Malaysia. Everyone is welcome from the age of six. Karate can be practiced by children, women and men. We encourage beginners to the correct way and they will receive training relevant to their ability. Just come along to your first FREE session and start enjoying the benefits of improved health, strength, stamina, flexibility, balance, co-ordination, concentration and self-confidence... Budokan Karate Academy is a friendly club with good social activities. Choosing the right martial art school for yourself or your child can be a difficult task. So we’d like to help make it a little easier by giving you a picture of what it’s like to be a member of Budokan Karate Academy. We offer a variety of age specific and mixed age classes, including: little champions karate (4-7 yrs. ), children’s karate (8-12 yrs. ), teens and adult’s karate and family karate classes (all ages). In addition to breaking up classes by age, we have classes for beginners, intermediate levels and advanced levels. Plus, the option of early morning, day-time and evening classes. To propagate the practice of B.K.A principle. To coordinate and regulate the practice of B.K.A. within the member dojos of the organization. To provide certificate of proficiency to successful members. To coordinate and regulate B.K.A. championships among its members. To develop and intensify friendship, goodwill, and cooperation among the affiliate countries.